In 2000, Joy Lovinger faced a difficult dilemma: continue to take care of her Alzheimer’s-stricken mother in her own home or try to find a facility nearby that could provide the kind of care she knew her mother needed. After much painstaking research, and some trial and error, she finally found the right care her mother needed. It was a life-changing experience that made her want to do more for others in the same position as she was – and set her on a new career path. She earned her Gerontology Certification from Sonoma State University and has worked as the marketing director for a large assisted living facility in Sonoma County. In 2005, she became certified in Senior Peer Counseling and later a certified RCFE Administrator. Joy is a certified Charter Member of the American Association of Elder Placement Professionals (link to pdf) and an appointed member of the Sonoma County Area Aging Advisory Council. 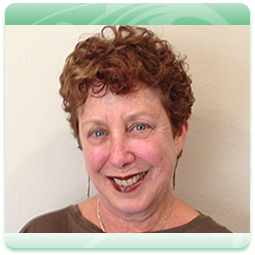 She is also a member of the Jewish Community Center’s Friendship Circle Advisory Council and the co-chair of the Petaluma Senior Care Connection Resource Group. In addition, Joy works closely with Compassionate Senior Solutions, a senior placement agency that services Los Angeles. She is also a volunteer driver for the Sebastopol Senior Center and, for several years running, a volunteer for the annual Alzheimer’s Walk. Please feel free to call her at 707-292-9998 or email her to discuss how she might be able to help you or your loved one.